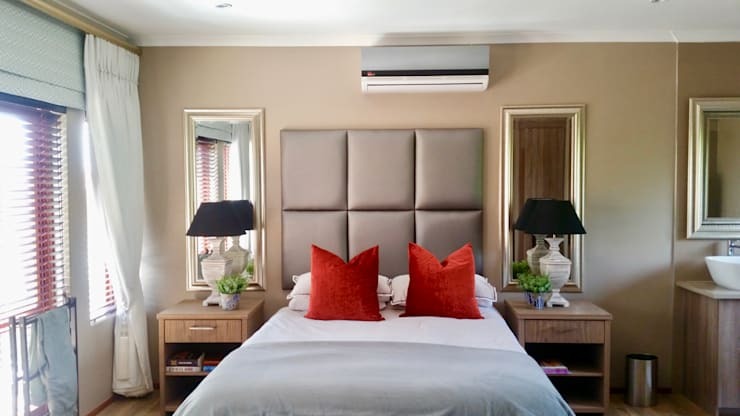 Don’t underestimate the style power of a beautiful headboard – sure, not all beds need to flaunt a headpiece in order to look pretty, but that doesn’t mean that headboards can be classified as “out of style”. 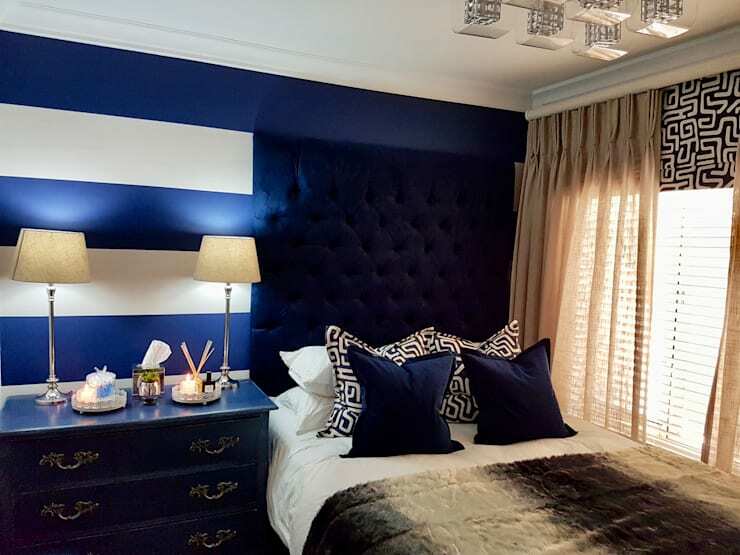 On the contrary, with the right colours and textures (and style and design, obviously), a bedroom’s headboard can become the focal piece in the room. 1. This tufted piece with its elegant edges is a sure winner, in our books! 2. 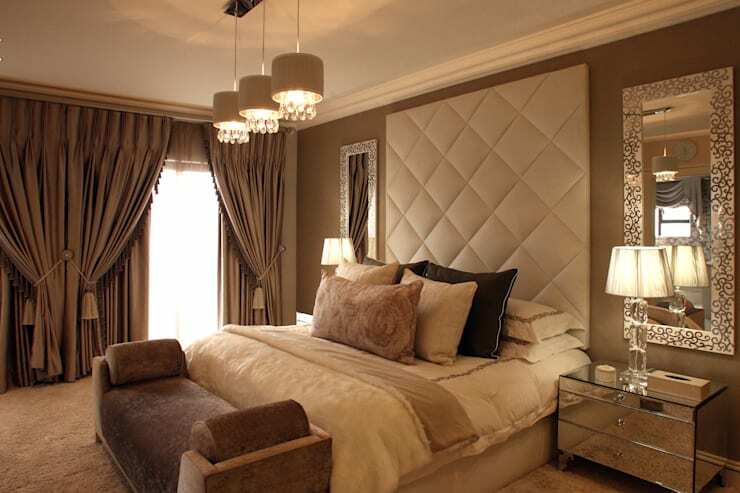 A simple block design in earthy neutrals can be striking or subtle, depending on the additional décor. 3. 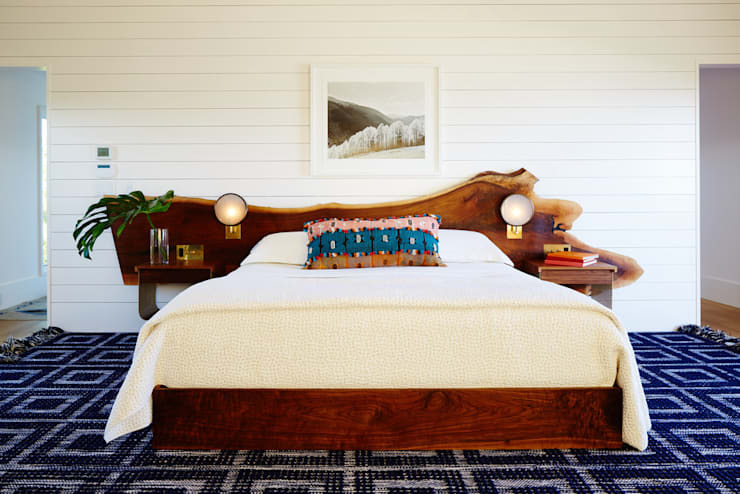 A classic-style headboard that reaches all the way to the ceiling? Now that’s how you catch attention. 4. Vintage barn doors being reused as a headboard? Who knew it would look this fantastic? 5. 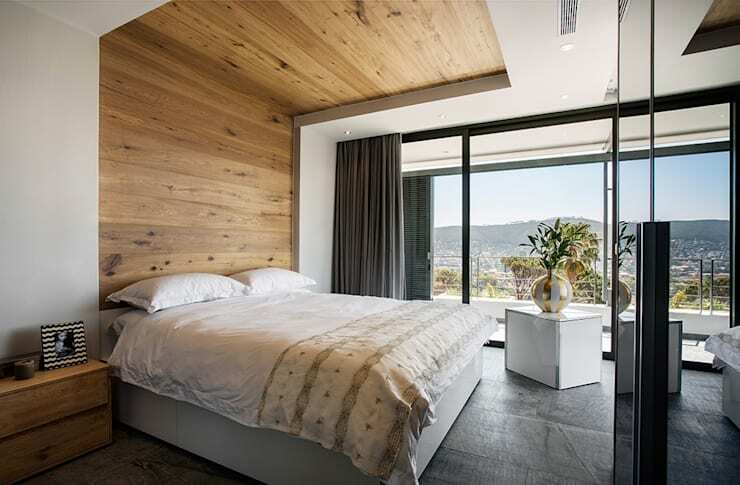 Technically not a headboard, but this timber-clad design that adorns the wall and ceiling still gets our vote of approval. 6. 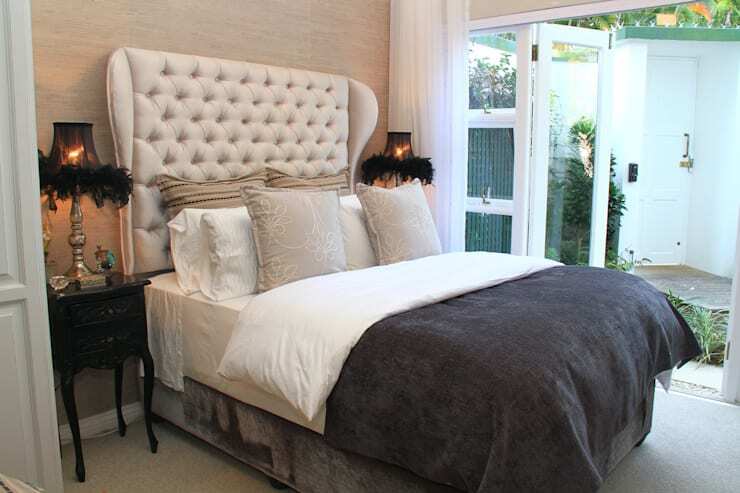 Tufted fabric with soft lighting – the ideal combination for a lavish and glamorous bedroom. 7. 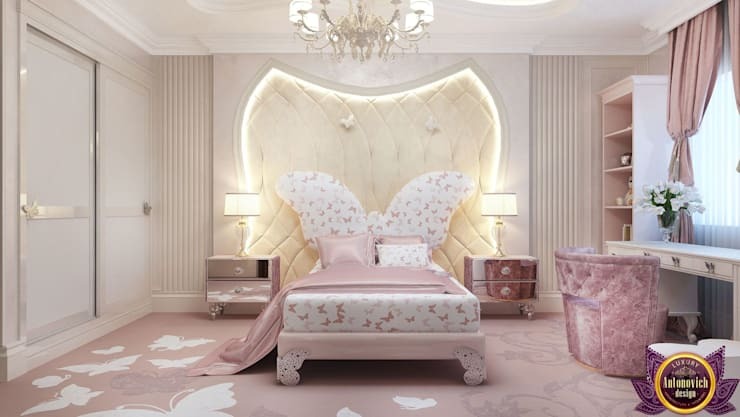 This headboard design is certainly one way to turn ‘soft and feminine’ into ‘stunning and fabulous’. 8. A simple piece of fabric beautifully mimicking the drapes? What do you think? 9. Subtle can be stylish too, like this piece that nearly fades into the wall because of the similar bold tones. 10. 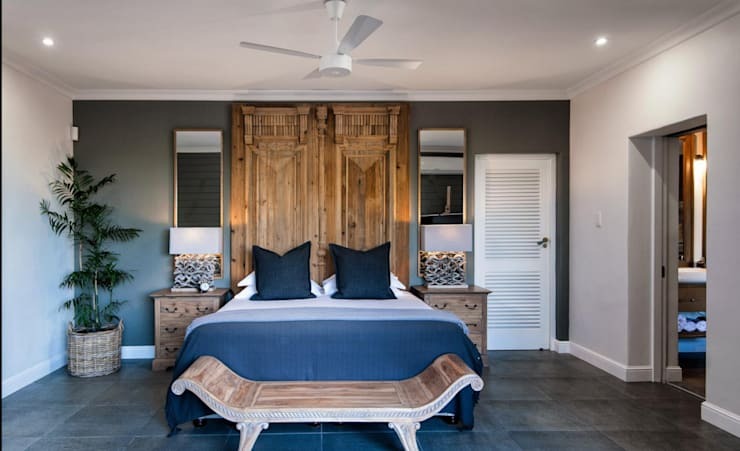 Don’t you just love how this curvy wooden headboard contrasts with the linear-panelled wall? 11. 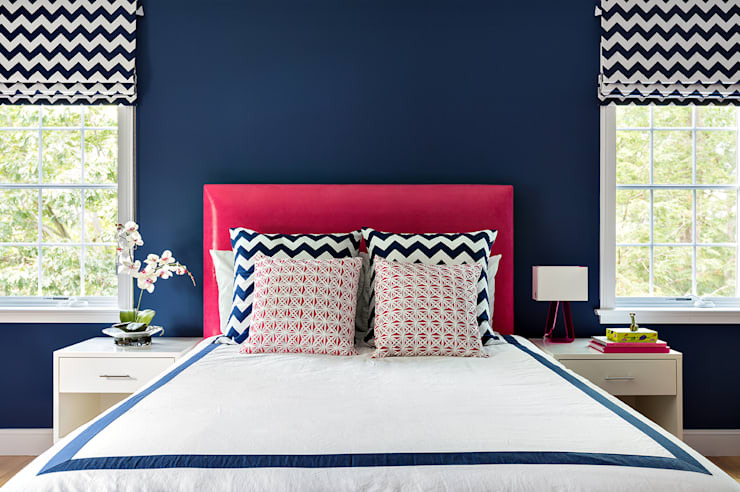 A striking colour – that’s all that was needed to make this simple headboard come to life! Now pay attention, as we’re about to teach you 13 ways to transform your bedroom with wallpaper. 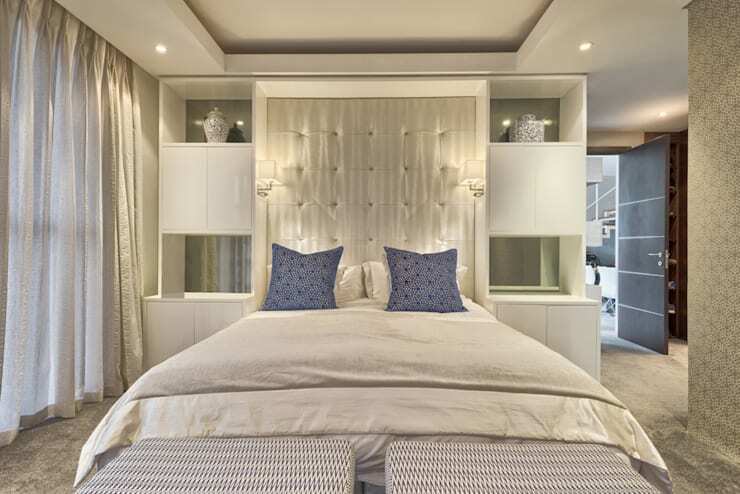 Which of these headboards would look simply dreamy in your bedroom?